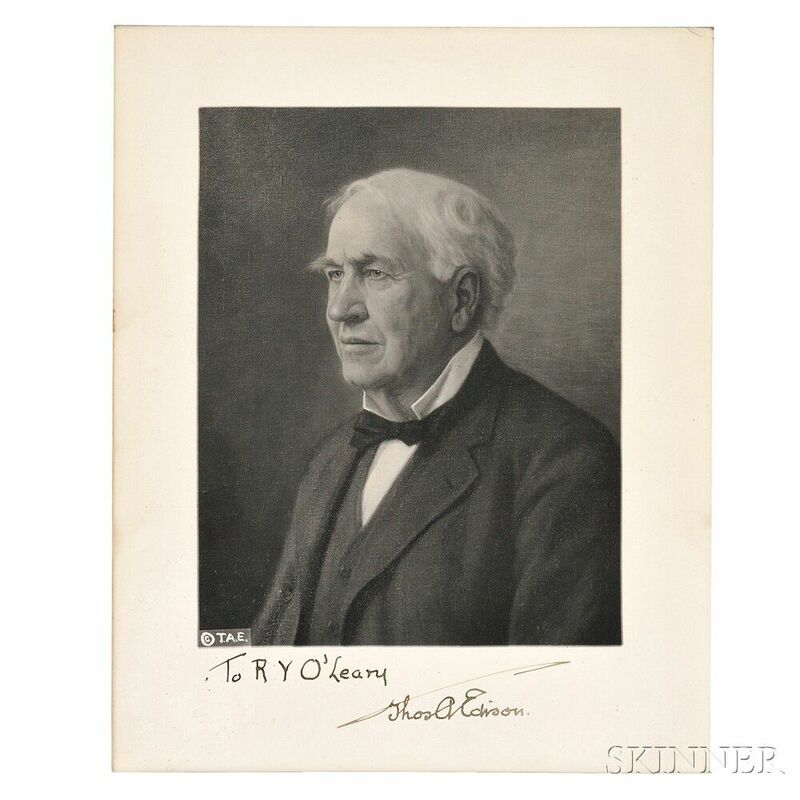 Photographic reproduction of an artist's portrait of Edison, in black and white, inscribed in the margin, "To R.Y. O'Leary Thos. A. Edison," framed, 9 3/4 x 7 3/4 in.